Efforts are being made to ensure that travellers are getting accurate information that is relevant to them. 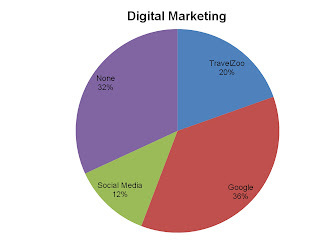 Even online travel agencies (OTAs) are now diligently integrating reviews on their sites, e-newsletters, promotional campaigns and other outlets. Firstly OTAs are improving descriptions of hotels across the board so that customers can more directly compare rooms and facilities at different hotels. This includes more photos and videos for travellers to browse through. Secondly, the overall contribution from various stakeholders including employees, fellow travellers, hoteliers and so on is on the rise on their sites. Recent studies reveal that what matters most when planning a trip is not where you’re going, but rather who you know that has already traveled to that destination. Without a doubt, the ubiquitous marketing tool’s unique brand interaction is setting a new beat to the travel pulse. While trusted travel brands unquestionably provide valuable trip advice, word of mouth from a loyal group of friends may be more worthwhile. What does the summer have in store for the hotel industry? The recently published Christie + Co’s Business Outlook Summer 2012 report reveals all. With the banks coming to terms with their positioning and exposure in the hotel sector, the year to date has been typified by some reasonable transactional activity, according to the publication. All stores – both online and physical – should tailor offerings to their purchasing segments. In an online environment, that might mean offering different choices to customers based on their purchase history or the kinds of products they’ve clicked on in the past.